Enable You to Concentrate and Play Confidently! Let's face it, sport can be a risky business - it only takes one second to change your face forever. Why risk it? Use a Performance Mouthguard to help reduce the likelihood of: Chipping, Breaking and Loss of Teeth; Neck and Jaw Injuries; Lacerations of Gums and Tongue; Concussion. Why choose a Performance Mouthguard? Performance Mouthguards Specialise in dealing with young children who are not comfortable or familiar with having dental impressions taken. We create mouthguards for Adelaide and all South Australia. A wide range of custom made mouthguards are available for all sports such as Boxing, AFL, Rugby League, Rugby Union, Soccer, Football, Athletics and Hockey. I travel the world representing Australia playing Hockey and will always return to Performance Mouthguards as I feel confident wearing their Performance Pro mouthguard for protection and comfortable fit. Performance Mouthguards have been partners with Sport SA since 2007 and in that time a strong working relationship has been formed. In 2010 Performance Mouthguards Director, Grant Evans further strengthened the relationship by agreeing to be a Major Sponsor at the inaugural Sport SA Awards. 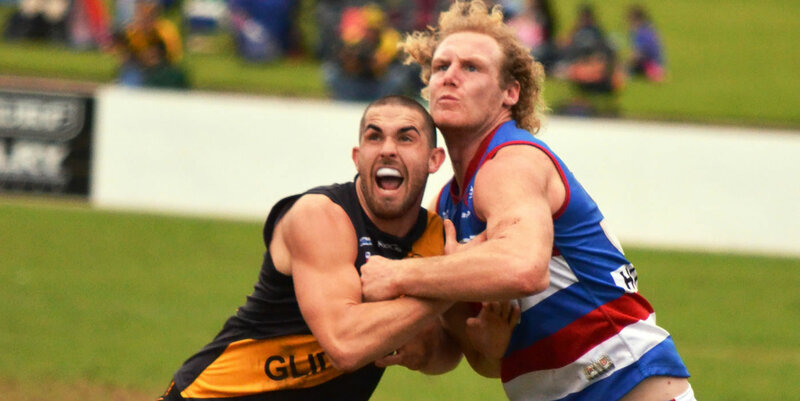 The Adelaide Football Club has used Performance Mouthguards to manufacture, supply and fit mouthguards for its players for many years. In this time we have not only been impressed with the professionalism of their operation, but also have been completely satisfied with their product. 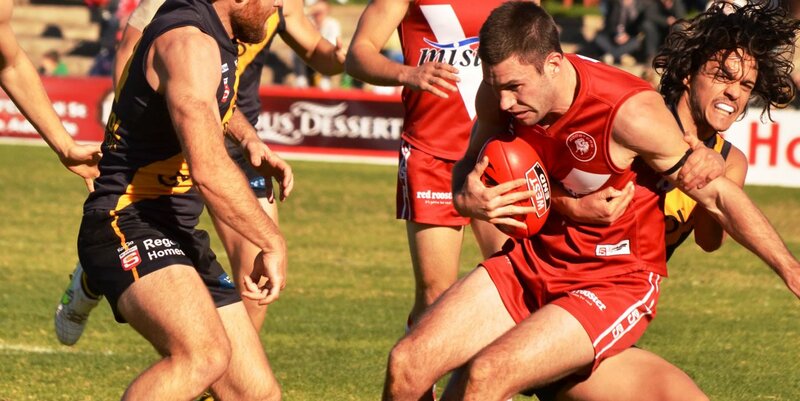 Glenelg Football Club has been associated with Performance Mouthguards for 10 years. Throughout this time Performance Mouthguards have fitted all football grades with mouthguards and provided fantastic service and quality of product. I prefer a slimmer mouthguard so I can breathe better during practice and games, and Performance Mouthguards are the only company I’ll trust to make a quality mouthguard for me. My new mouthguard is not only slim and a secure fit, but also provides great protection for my teeth. As one might expect with a professional sports team comprising highly paid players, every effort has to be made to minimise any risk to the players — for both commercial and litigious reasons. To this end we do not cut corners or take cheap options in regards any protective or rehabilitation devices. We go for the best available and Performance Mouthguards is outstanding. Students from Prince Alfred College were measured for and fitted with sports mouthguards by the Performance Mouthguard Company. The service provided and the products themselves were excellent. Furthermore the company was able to fit around our school timetable to ensure minimal disruption to our students. I have no hesitation in recommending Performance Mouthguards. Hockey is a very fast sport and can be a dangerous sport. Playing at National League level I need to be confident my teeth are well protected. Performance Mouthguards fitted our Adelaide Bank Suns Team with mouthguards and I have no hesitation in recommending them to anyone playing hockey or any other contact sport. It is vital that my mouthguard allows me to breathe and communicate effectively. My Performance Mouthguard gives me the confidence to compete hard at the football, knowing I have the best protection available. I recommend all football players to wear a Dentist fitted Custom Laminated Performance Mouthguard. Thanks for attending our Sign On Day on Feb 26th. Personally, I have found my mouthguard to be fantastic & am certainly recommending people to you. It’s so much better than the chemist one I had previously! 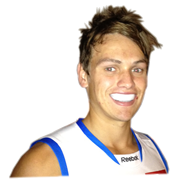 Playing AFL I don’t take any chances with my teeth, I always return to Adelaide for my Performance PRO Mouthguard. After the London Olympic Games I had orthodontic bands fitted. I chose Performance Mouthguards for the excellent fit and ongoing adjustments they can make to my mouthguard, that keeps me at the top of my game. 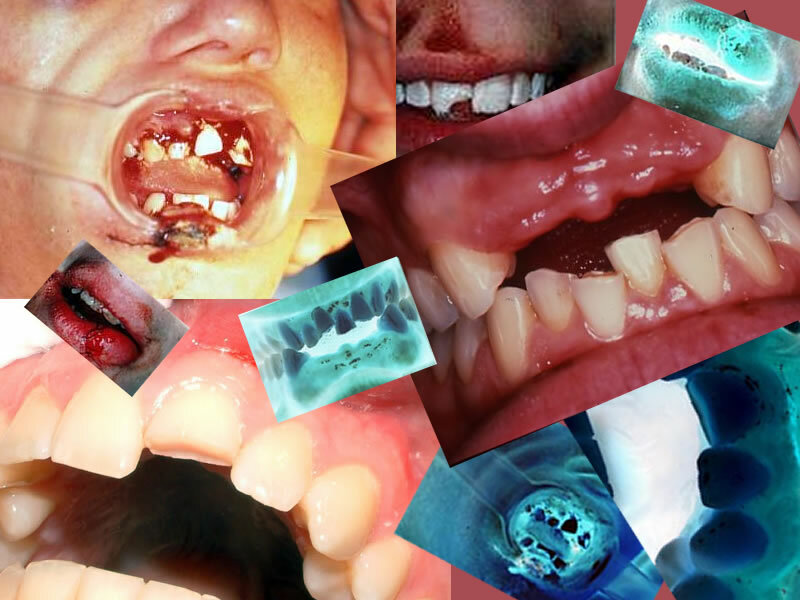 I have been through some extensive orthodontic work in 2014/15, due to the rigours of AFL football I had orthodontic bands fitted on the palatal side of my teeth. I put all my trust in Grant Evans from Performance Mouthguards to fit a comfortable Performance Junior Mouthguard allowing me to talk and breathe while undergoing the dental work. 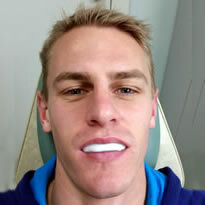 I will have a Performance Pro mouthguard fitted as soon as my orthodontic treatment is complete.